I am a political philosopher particularly interested in puzzles of globalization and Europeanization. As Fulbright Fellow at the Philosophy Department of Harvard University I graduated in 1991 with a PhD dissertation on The Normative Significance of State Borders, advised by philosophers John Rawls and TM Scanlon, and economist, later Nobel Laurate Amartya Sen. I exploited the opportunities to also study human rights law at Harvard Law School; welfare economics, game theory and international political economy at the Economics Department; and international relations at the Department of Government. I have continued multi-disciplinary research on international and global puzzles and dilemmas in the intersection of law, international relations and political theory. Over the last 20 years my intellectual curiosity has tracked the fascinating changes wrought by globalization: from the profound challenges states face in an increasingly interdependent world, over Europeanisation, to multi-level governance. I also study the emerging roles and obligations of non-state actors, multinationals and organized consumers and investors. My multi-disciplinary interests are also exhibited in my appointments: While serving as Research Director at ARENA Centre for European Studies, I was Full Professor in the Department of Philosophy for several years, and recognized as competent as Full Professor in Political Science. I moved to the Faculty of Law in 2001, first to serve as Director of Research for the University’s multidisciplinary Centre for Human Rights. I now co-direct PluriCourts, a Centre of Excellence for the Study of the Legitimate Roles of the Judiciary in the Global Order, with Professor Geir Ulfstein. It incorporated MultiRights, a 5 year research project 2011-2016 on the Legitimacy of our Multi-Level Human Rights Judiciary I was Co-director of, funded by an ‘Advanced Grant’ of the European Research Council. ANDREAS FØLLESDAL Ph.D., Professor of Political Philosophy, Faculty of Law, University of Oslo. Co-Director of PluriCourts, a Centre of Excellence for the Study of the Legitimate Roles of the Judiciary in the Global Order. Principal Investigator, European Research Council Advanced Grant MultiRights 2011-16, on the Legitimacy of Multi-Level Human rights Judiciary. Ph.D. 1991 in Philosophy, Harvard University. 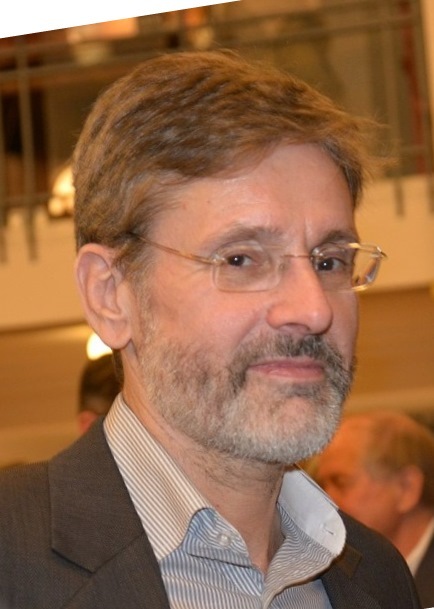 Follesdal publishes in the field of political philosophy, mainly on issues of international political theory, globalisation/Europeanisation, Human Rights, and Socially Responsible Investing. Andreas Føllesdal (Ph.D). er professor i politisk filosofi ved Juridisk fakultet, Universitetet i Oslo. Han er Co-Director for PluriCourts, et Senter for fremragende forskning om internasjonale domstolers legitimitet. Han ledet MultiRights– the Legitimacy of the Multi-Level Human Rights Judiciary, 2011-2016, et Advanced Grant fra The European Research Council. Han fikk doktorgrad i filosofi fra Harvard universitet som Fulbright Fellow på en avhandling om statsgrensers normative betydning, med hovedveiledere John Rawls og T.M. Scanlon, Amartya K. Sen som biveileder vedrørende enkelte kapitler. Mag.art. studier i psykologi, sosiologi og filosofi ved universitetene i Oslo, Bergen og Uppsala. Han ble utnevnt som Fulbright New Century Scholar 2002-2003. Han er medlem av det Norske Videnskaps-Akademi. Føllesdal publiserer innenfor politisk filosofi med særlig vekt på menneskerettigheter og virkninger av EU. Han har skrevet om temaer som fordelingsrettferdighet, føderalisme, minoritetsrettigheter, demokrati og subsidiaritet, blant annet i tidsskriftene Journal of Political Philosophy, Law and Philosophy, Journal of Peace Research, International Journal on Minority and Group Rights, Metaphilosophy, og Global Society. Han har redigert bøker og spesialnumre i tidsskrifter om demokrati i EU, om velferdsstater i Europa, dyreetikk, samiske rettigheter, global rettferdighet, og om konsulentetikk i Europa. Han har også bidratt til en rekke antologier om EUs politiske teori. Føllesdal er redaktør for flere bokserier, mest med Cambridge University Press. Han deltar i flere forskningsprosjekter i EU, er jevnlig Visiting Scholar ved Harvard Center for European Studies, og har deltatt i referansegrupper og komiteer i Norge, Sverige og USA. Føllesdal bidrar i norske debatter om temaer som næringlivsetikk, utfordringer for offentlig forvaltning, og EU. Han var medlem i Pensjonsfondets etiske råd i flere perioder, og var medlem i Bioteknologinemnda 1998-2000. Han var professor ved ARENA, Norges forskningsråds forskningsprogram om europeiseringen av nasjonalstaten, 1994-2005, og var professor ved Filosofisk institutt, Universitetet i Oslo, 1999-2005. Han har bidratt til norske tidsskrifter om blant annet om skolen bør sikre likhet, om Rawls og lokal rettferdighet, om KRL-faget, om forskning om minoriteters levekår, om Amartya Sen, hvorfor og hva slags likhet, og bruk av anbud for omsorgstjenester. Har også studert og undervist ved Harvard Law School og ved John F. Kennedy School of Government.